Is Comrade Obama putting the moves on the MTE? 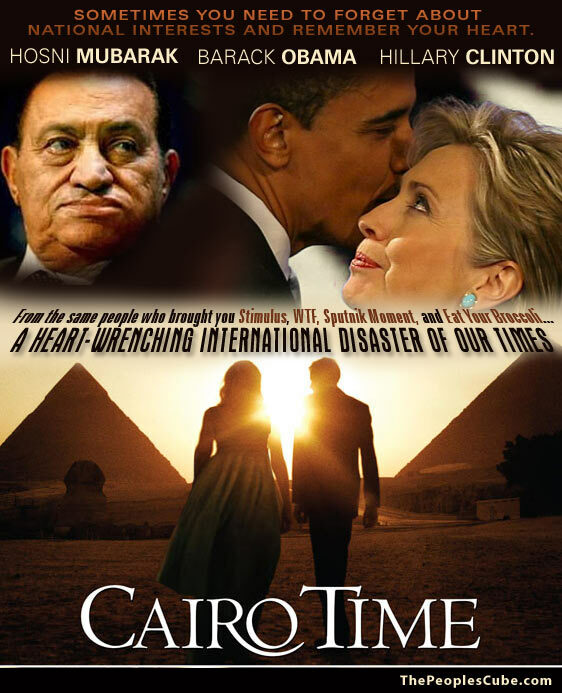 From the same people who brought you Stimulus, WTF, Sputnik Moment, and Eat Your Broccoli... a heart-wrenching international blockbuster of our times: Cairo Time... starring Hosni Mubarak, Barack Obama, and Hillary Clinton. Caption: What Is Obama Thinking?